For those Android users, this article can tell them some details about how to transfer videos and music to Kindle Fire HDX from PC. Android tablets well. If not, the article below can teach you how to transfer videos and music to Kindle Fire HDX. Let’s take a look. In all, there are three solutions to make it smoothly on watching videos or listening music on Kindle Fire HDX. Please follow our steps. Solutin1.Connect your PC with your Kindle Fire HDX correctly and your device will be showed on screen like this, if they are locked, just put into your password to unlock it. Additional tip: If your computer has OSX 10.5 or above or Windows XP system, your device can’t be detected well, so download the new software is necessary. 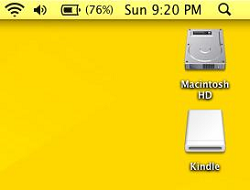 Then open the device appeared on your desktop and locate your personal files on your computer, including wanted videos and music. Here are some extra points you should know if you got any problems in this process. Solution2.With wireless network(for example Wifi) to sync your contents. Make sure you have connected your tablet with wireless network. From Amazon Cloud, you can sync a lot of videos, books , music, photos or apps to your device. Can you see the button ‘Quick Settings’ on the top of the screen? Get into it and tap the ‘Sync All Contents’. Solution3.Download videos or music with wireless cloud service. Cloud service, special service for you to download or store your contents. Just as a third-party friend that can manage your files well. Open your kindle content library from Home. Tap the item above and download it to your device. Items stored in Cloud do not display a check mark. 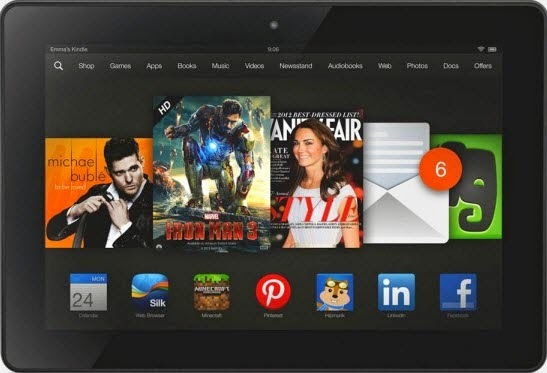 Drop off some contents from your Kindle Fire HDX? Open ‘Quick Settings’>>’Settings’, from your device, you can click the ‘Storage’ and then remove unwanted contents as videos,, music, photos or apps. Remember that if you want to remove your apps permanently, go to the App library on your device to delete them out of Cloud. Other useful tips: As you can’t transfer all the videos or music to your Kindle Fire HDX such as non-native video formats, DVD, Blu-ray discs. Here we also have some professional converting tools individually for DVD, Blu-ray or non-native videos. Pavtube DVDAid---for loading DVD to Kindle Fire HDX. It is designed for those DVD lovers to converting DVD files to various kinds of video formats that suitable for Kindle Fire HDX, such as MP4, 3GP. Also it can convert DVD to H.264 with 6X faster conversion speed. You can downloadhere. Pavtube BDMagic---specially for Blu-ray users. With a high video quality converted by Pavtube BDMagic, we can freely make them accepted by our tablets. What’s more , 3D videos are also supported in this program. Have a try in this way. Pavtube Video Converter---to make other non-native videos compatible with Amazon tablet. A n easy tool for operation and more personal settings you can adjust with output formats. GPU acceleration technology is available too. Do you waana a try? Pavtube Video Converter Ultimate---both available for DVD, Blu-rays and common videos. It is much more than a video converter with ripping DVD or Blu-rays to any video formats. A synthesis that includes three guys above. Download here to know more. How to Transfer Video/Photo/Music to Samsung Galaxy Tab S? Rip DVD to iPad Air 2 in an Efficient Way?